I think the Lego ideas platform is a fine example of excellent marketing and design. It not only involves the user base of Legos but shows that the Lego company and brand cares about its customers and puts an emphasis on interaction and feedback. It is a way to not only bring to market what people want to see, but also to include folks in the design process. It is a great example of a crowd-sourcing idea that works very well for all involved. It is a win-win situation. I recently listened to the book Brick by Brick by David Robertson and Bill Breen. It expounds on the details of how Lego almost went bankrupt until it changed its strategy and focused on making people their primary focus. I enjoyed the book, and it brought many good ideas to the table to learn and implement. This is partially why I decided to focus more on what I can give my customers rather than get from them. It is interesting to see how such an amazing company like Lego was in dire straights only about ten years ago. They sure have made a comeback and have diversified enough to remain interesting to young and old. 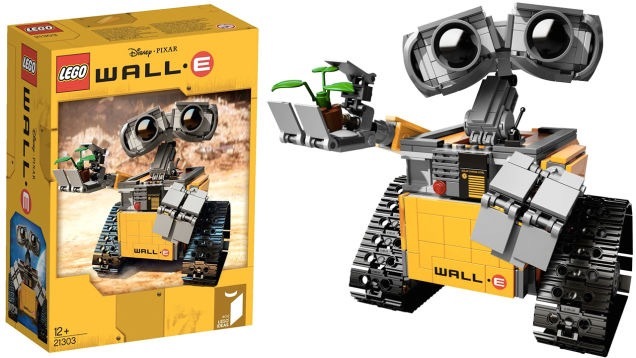 I will be purchasing the Lego WALL•E when it comes out! I am excited by this Lego design and I think it’s an awesome toy. Many creative minds went into designing the character Walle through sketch, animation, story and now Lego building. Previous post What is education?